Learn more about bringing an EspressOasis to your facility. 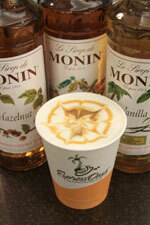 We bring you the finest coffees from around the world. Serve your visitors and staff the finest beverages and pastries. 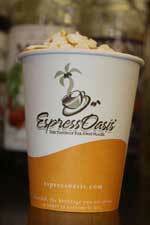 EspressOasis® was started in 1992 as a fundraising concept for hospitals. Today we offer our services to the Healthcare and University settings. Our success hinges on our unique quality, customer service and commitment. Additionally, we have forged long term relationships with suppliers and vendors to ensure product quality. An important relationship continues with our roaster, Orinoco Coffee. This partnership has allowed us to control aspects of our business and ensure quality levels that we maintain as a cornerstone of our service. We operate over 12 locations in hospitals and universities from New York to Florida. Our daily operation hinges on providing the best tasting coffee and espresso products as well as select pastries and convenient breakfast and lunch items. In doing so, our employees forge long lasting relationships with customers allowing them to offer personalized service. As we continue to grow, we are opening corporate owned cafes that are offering universities and hospitals wifi, open seating and customized layouts for lobbies and food courts to meet the growing need these facilities tell us they want. Let us look at your location soon!